O gosh, I’ll never ever stop loving fruit. For the recipe of these panckes click here, I just added ½ mashed banana to the dough this time. 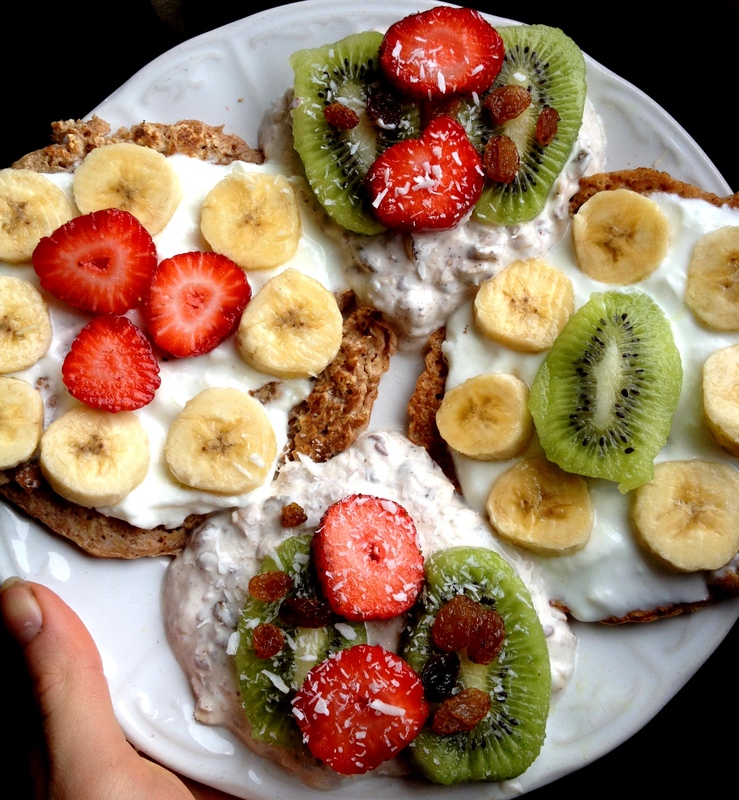 I topped the pancakes with some natural yogurt, the rest of the banana, kiwi and strawberries. 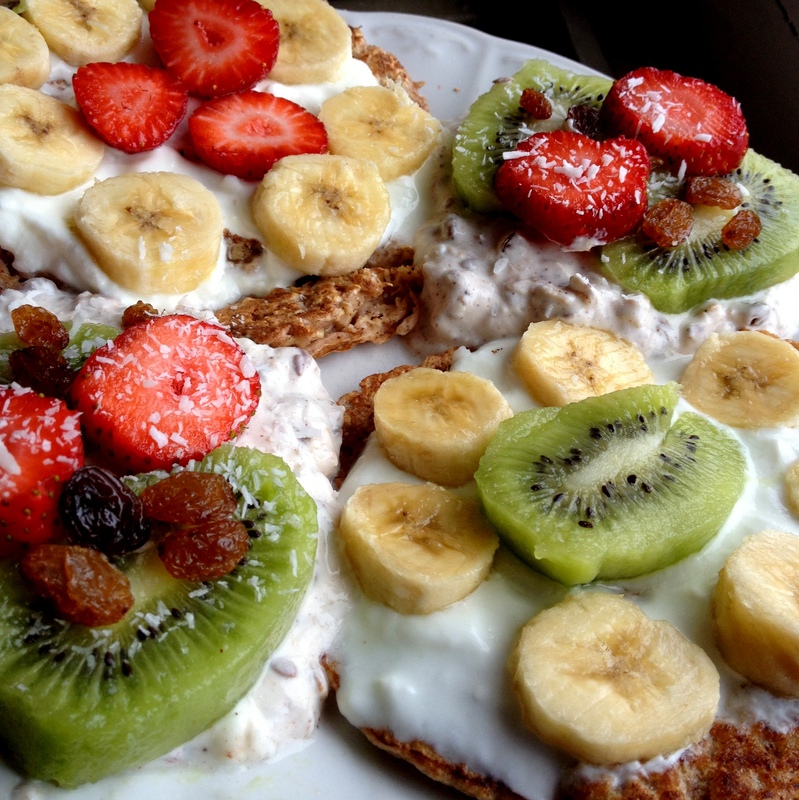 On the side I had a mix of yogurt, granola muesli, raisins, cinnamon, grated coconut and flaxseeds topped with more fruit.